The Wizard’s Library ~ Final two days! 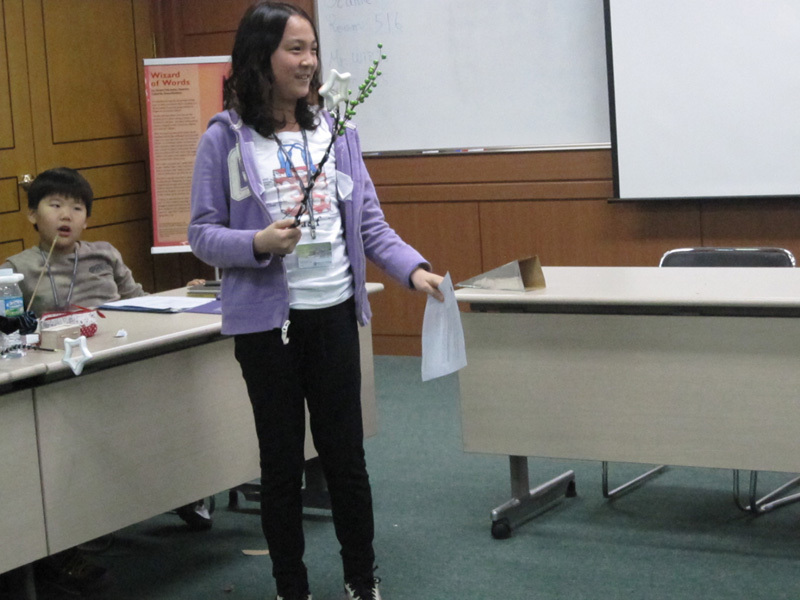 Our camp is now over—the last two days were quite a whirlwind! One of the best things about the camp? 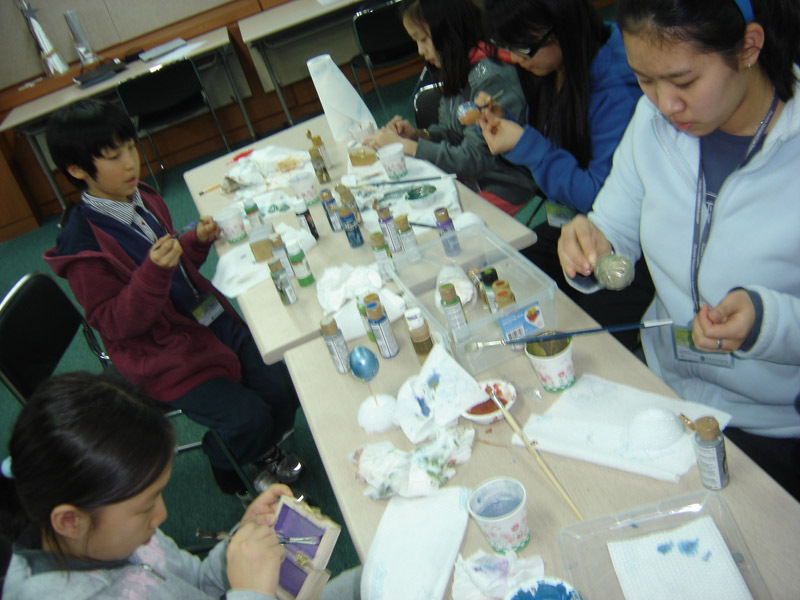 Yes, the kids were amazing, the stories and artwork beautiful, but really I’m happier than an Een in a pickle barrel that I didn’t get sick or run-down during this camp (like I so often do during our February camps in Korea). 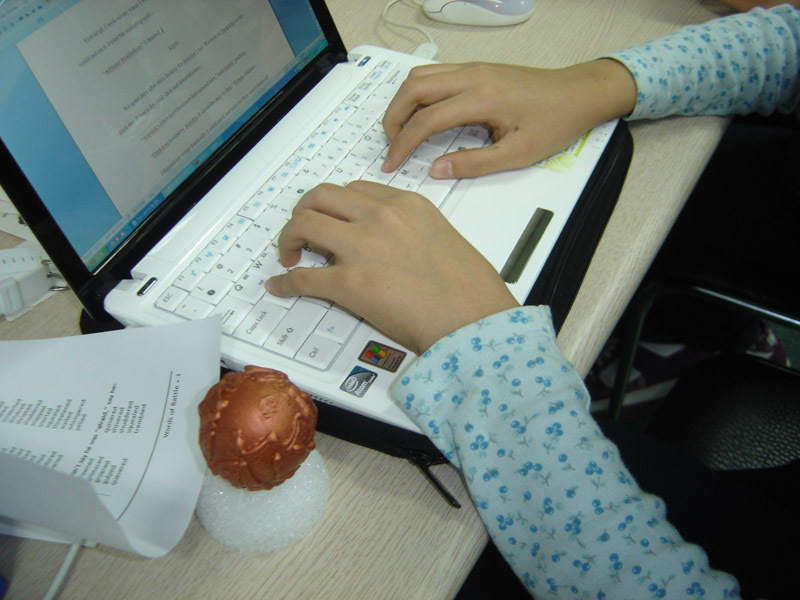 One of the Wiz Kids works to furiously finish up her story on the last day of our camp (dragon egg at her side). 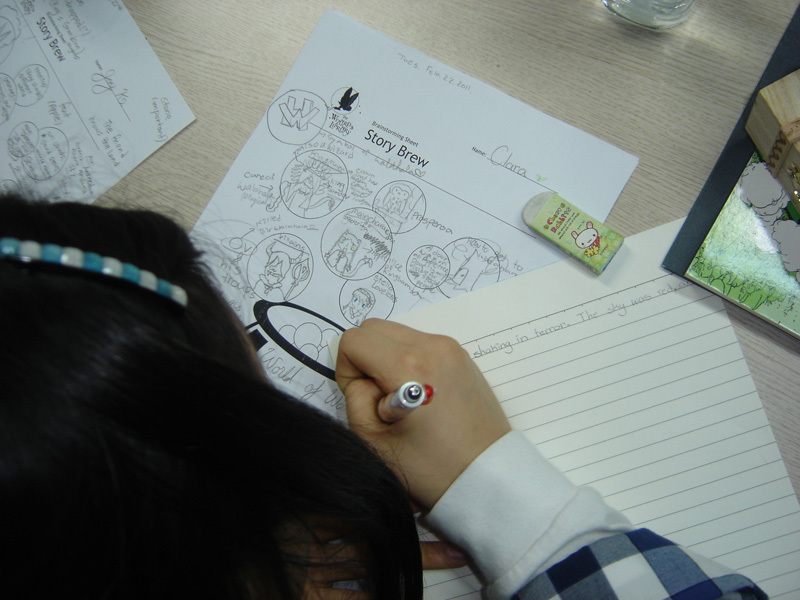 For this camp, we made every student begin his or her story in the good old-fashioned way: with pen and paper! 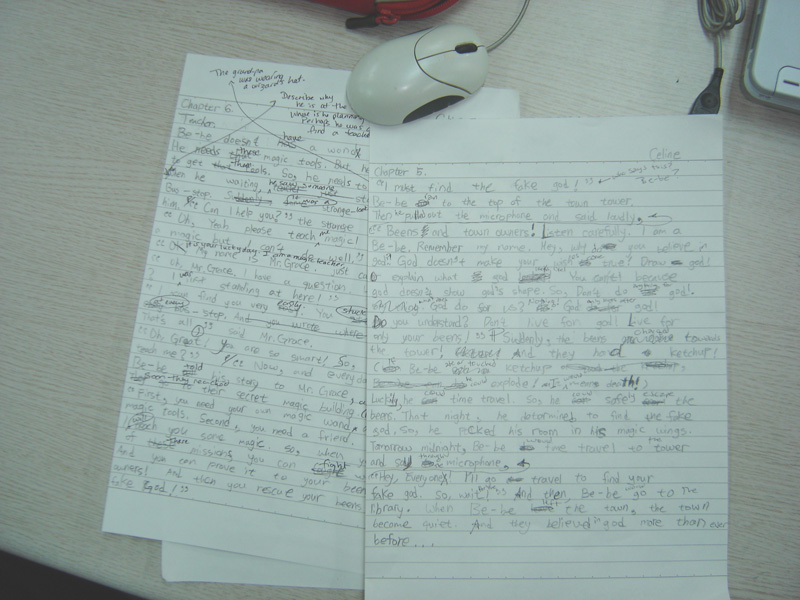 It was only after an edit by one of the instructors that they could begin typing up their tales. 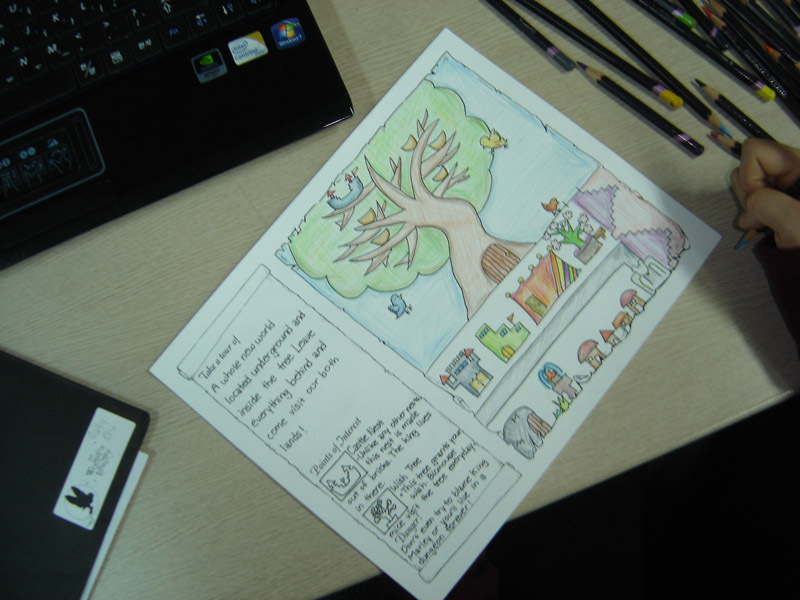 I love the little illustration—when I look back upon this student's work, I can really see her imagination at work on the page. This is a view of the writing process you just don't get when you start directly on the computer. One of the travel brochures we created—near completion! This brochure is absolutely beautiful! I'll be scanning in its entirety and posting it once I return home. On our final day, the students took inspiration from their travel brochures to create a short commercial, trying to convince the audience to come visit their enchanted kingdom. 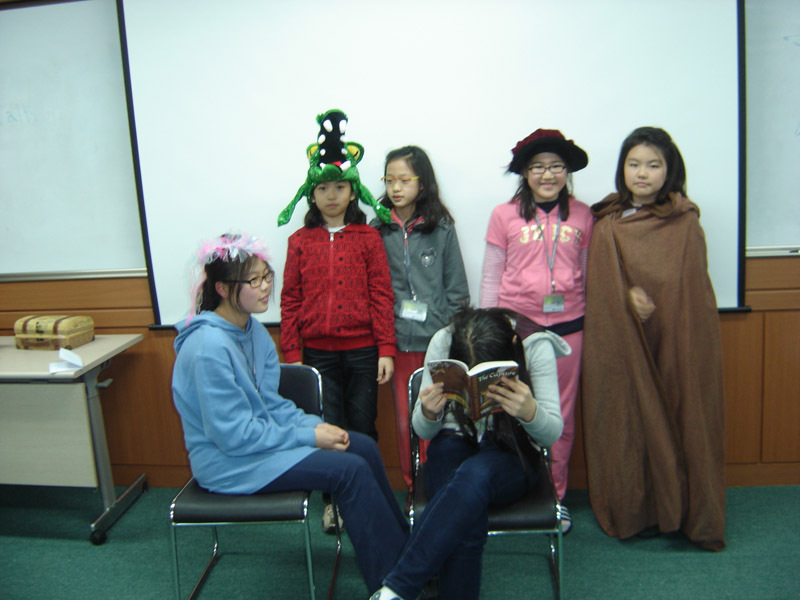 One of the Wiz Kids performs her commercial, while the others look on. 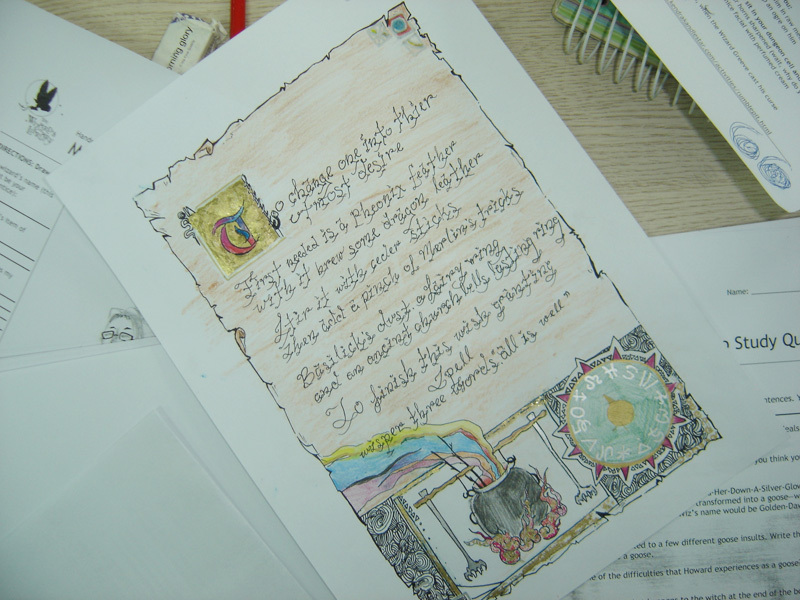 Our fourth day involved illuminated manuscripts and a wizard’s tournament! 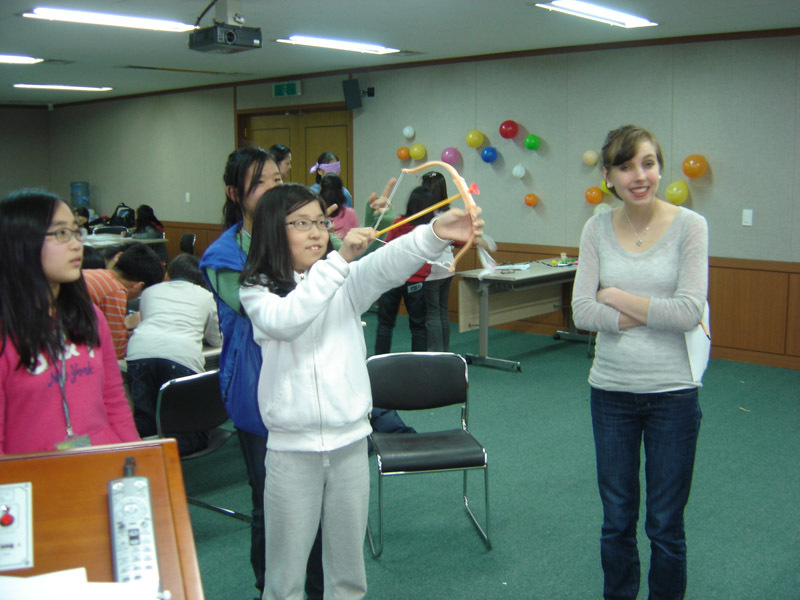 The tournament featured a variety of brain-teasers and and other wizardly skill-testing tasks. What a wonderful spell! Notice the gold and silver finish! I love this spell; it turns a bird into a mouse! Another scrapbook page, documenting the training of a wizard's apprentice. 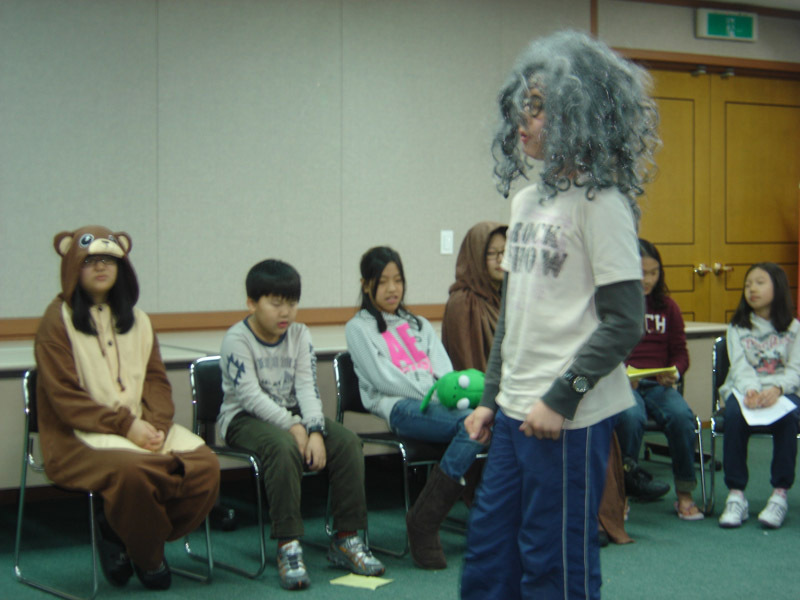 Madame Kallie (and Prospero) have a quite laugh during our Wizard's tournament. 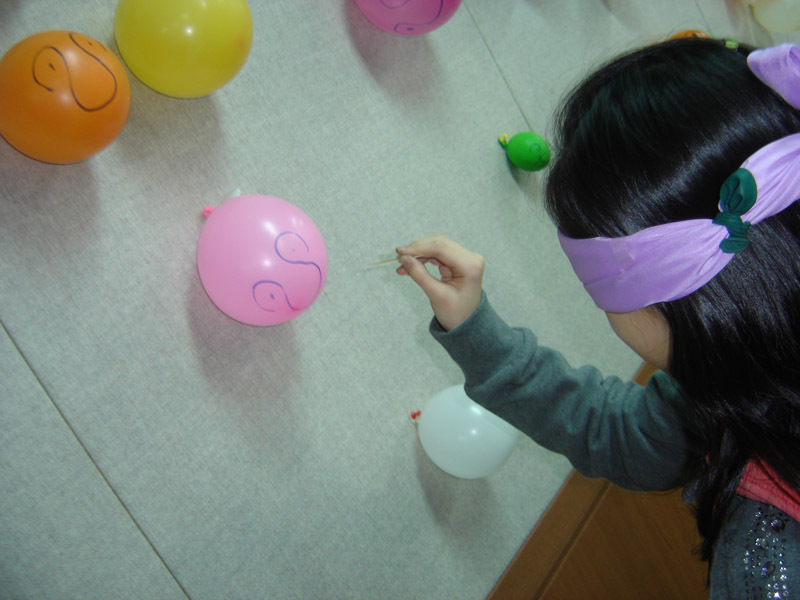 In this activity, Wiz Kids had to use a mini-wand to destroy some nasty "gnomes" plaguing their kingdom. 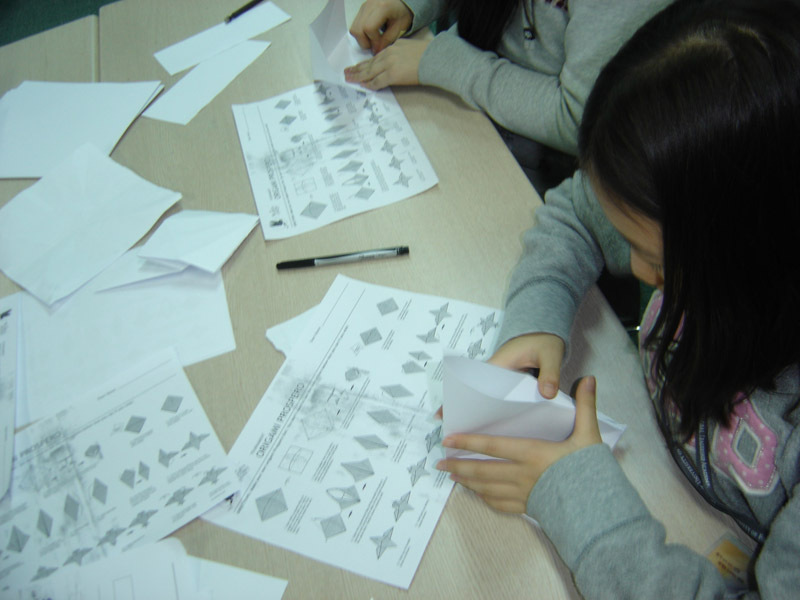 One activity during the Wizard's tournament was to make an origami owl (a paper Prospero!). Some of the Wiz Kids after performing a skit. 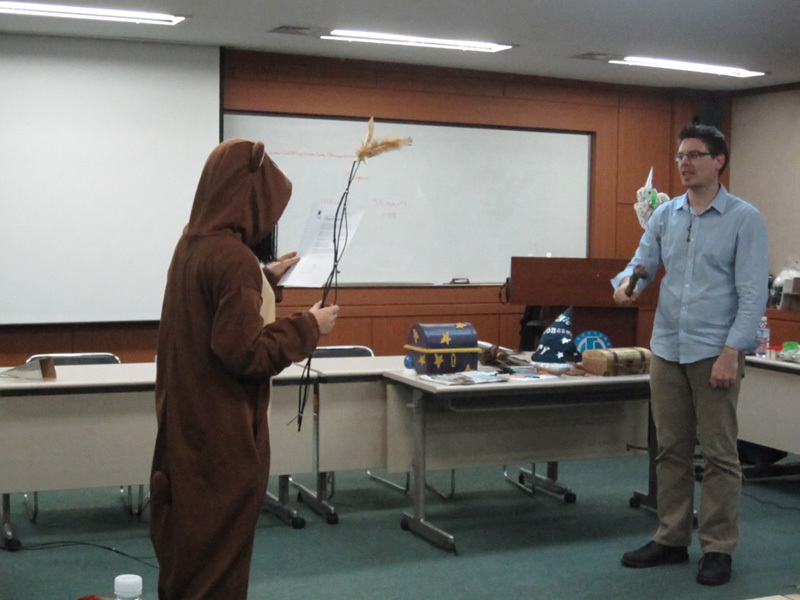 The students were divided into teams representing different magic kingdoms (such as Narnia, Oz, and Hogwarts). 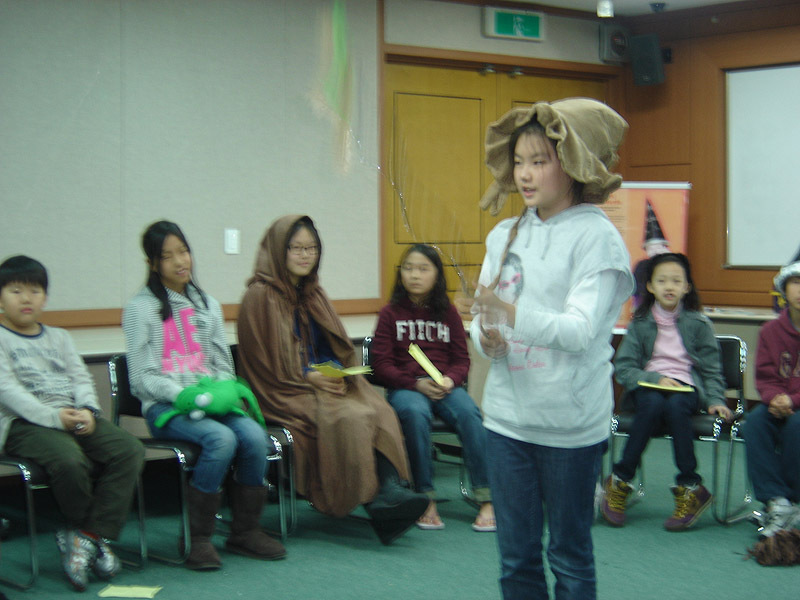 One of the Wiz Kids tries to shoot a "star" out of the sky during the Wizard's Tournament. "Mr. Wiz" (that's me!) and Prospero enjoy the festivities during the Wizard's Tournament. Day 3 is now complete ~ surviving it was no small feat! 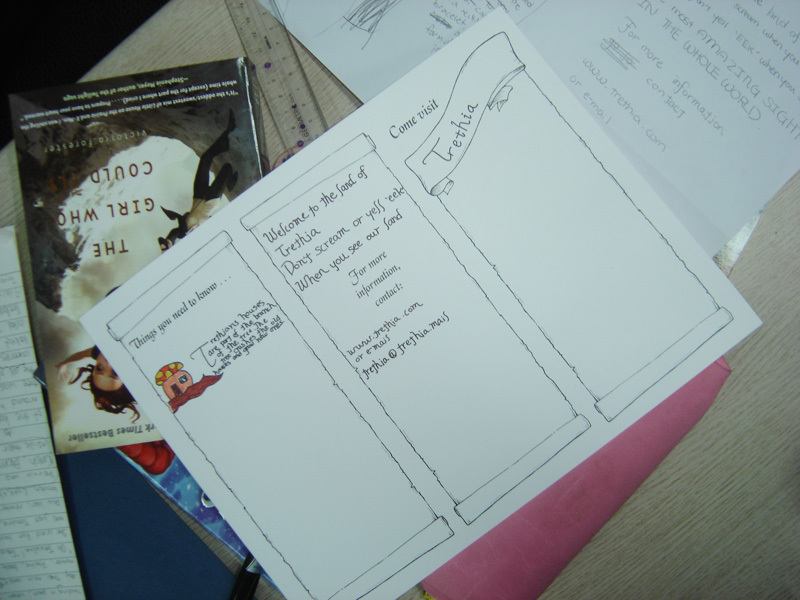 The Wiz Kids started assembling their travel brochures for their magic kingdoms. (You'll have to check your local travel agency to see if they start adding these encahnted destinations to their vacation packages). One of the travel brochures nearing completion. A completed travel brochure ~ and it looks amazing! We'll display them all on the last day of camp. 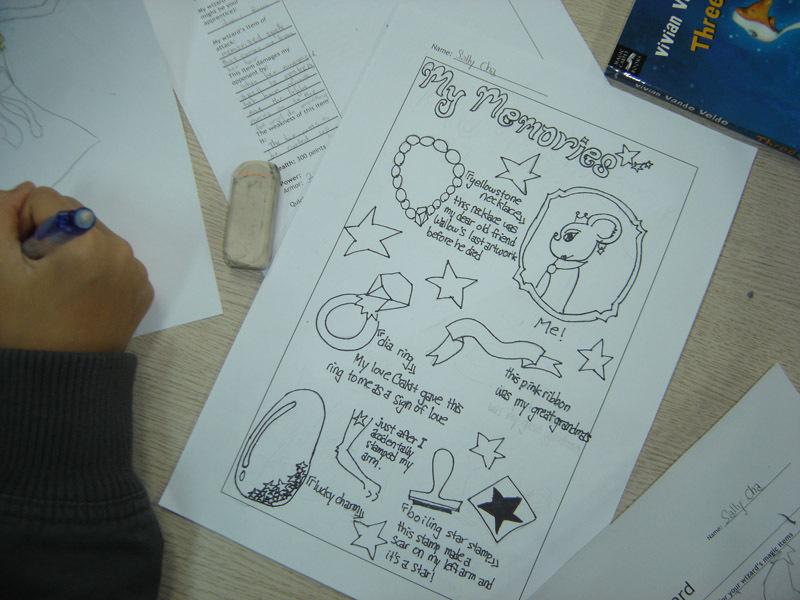 A student story in progress, inspired by all of our wizardly activities. 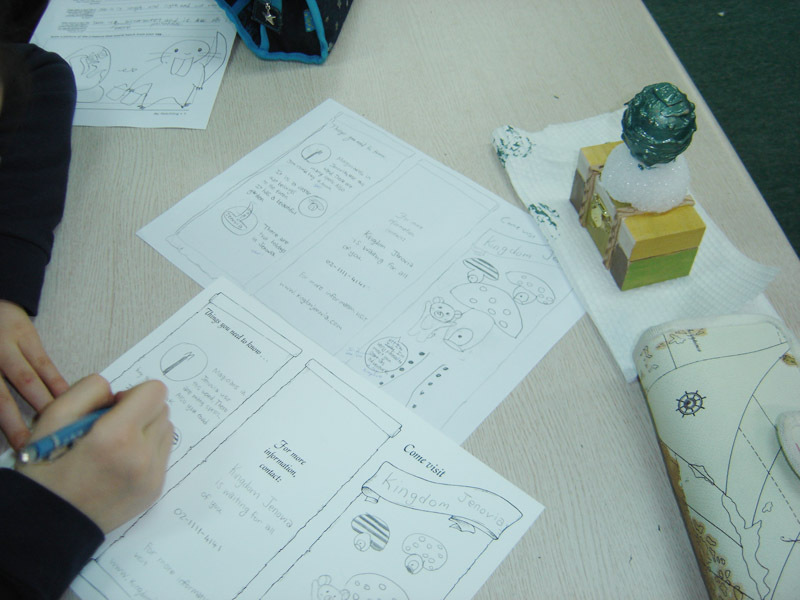 The Wiz Kids design their own enchanted eggs. 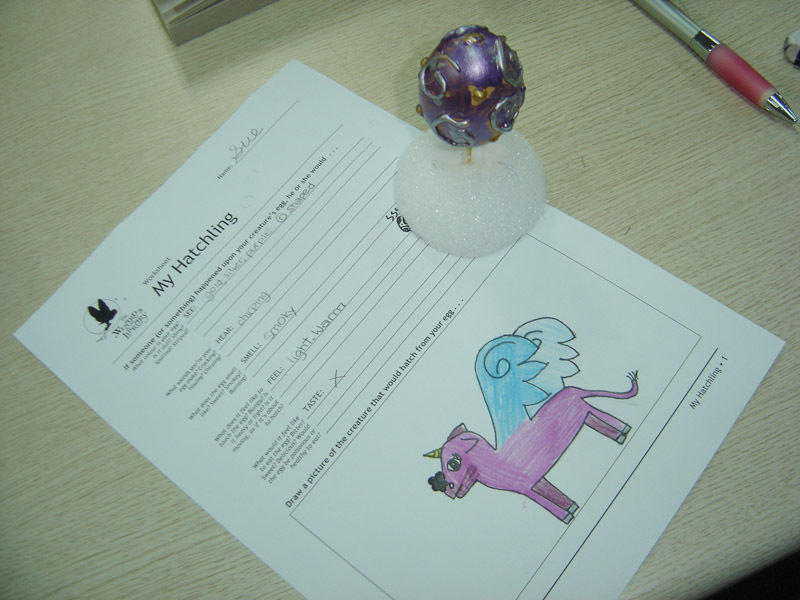 After painting them, they had to imagine what would hatch out of their sparkling creations. 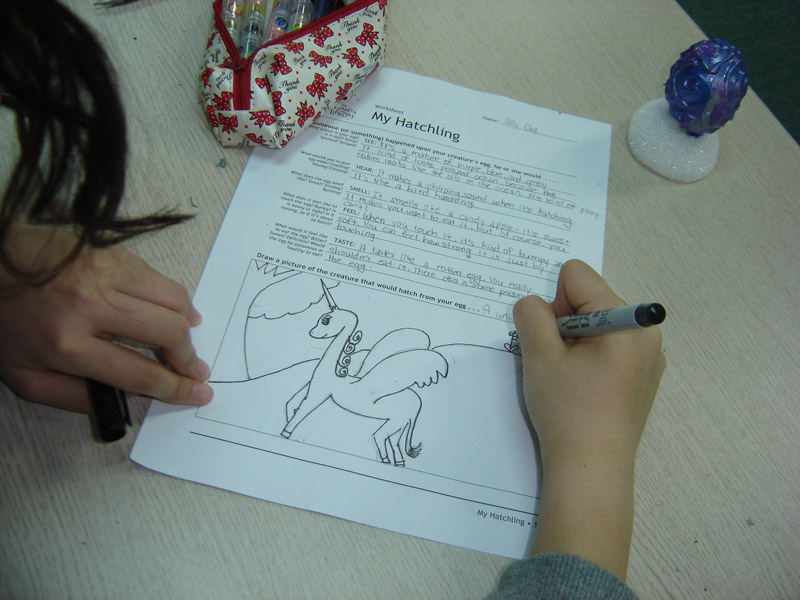 A student works on the design of her enchanted creature. Apparently, winged horses hatch from blue eggs! Another enchanted egg; I love how the creature matches the colours of its egg! 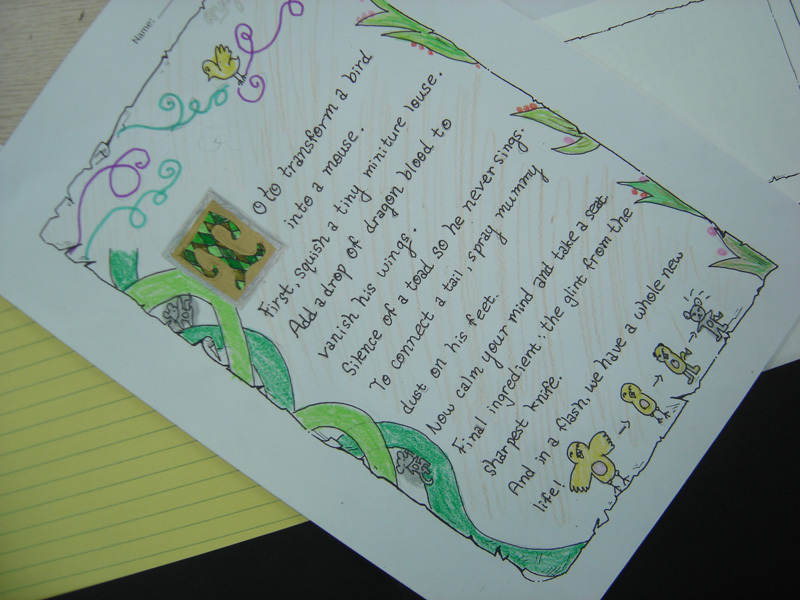 Day 2 of our creative writing camp is in the books. 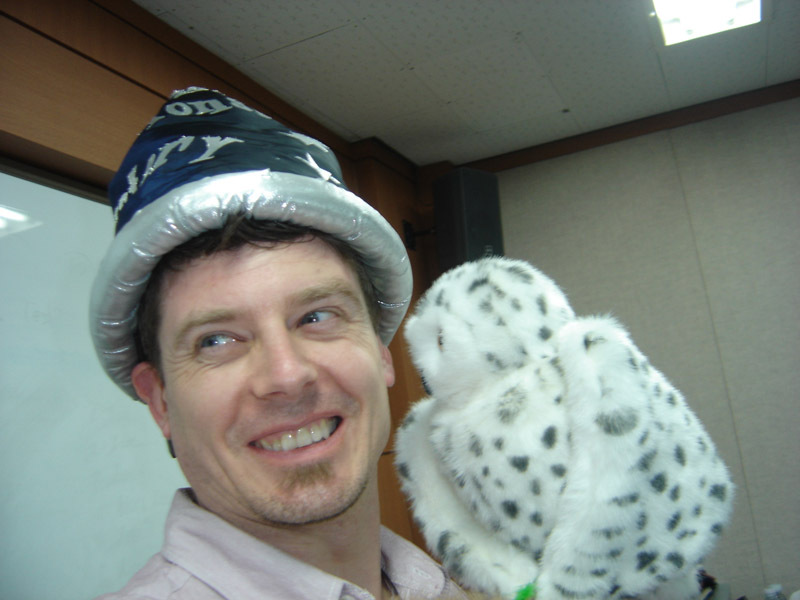 Wizard hats, wizard wands—and some very poetic dueling! 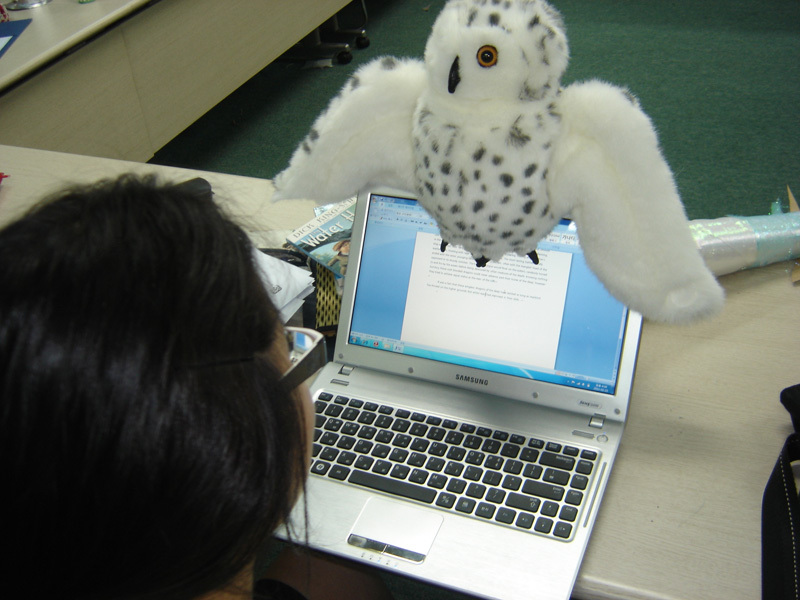 Prospero helps a student work on her story. The Wiz Kids construct their very own hats. Kallie helps the students test their hats, while Prospero looks on. EEK! 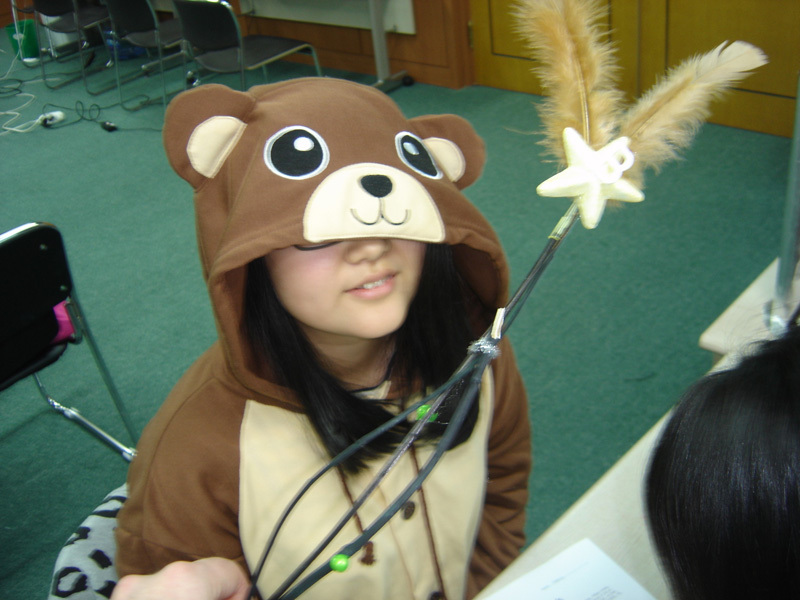 A bear came to our class—and even made her own wand. Each Wiz Kid came up and cast a rhyming-spell at me; I had to defend myself by making up rhymes (on the spot) to deflect the magic curses hurled in my direction! A Wiz Kid gestures with her wand, ready to inflict some deadly punishment upon me (invariably, to drown me in ketchup, eat eggs, or read Anne of Green Gables). It took all my coconut-power to defend myself against attack after attack! Thankfully, I had Kendra Kandlestar's wand to assist me. 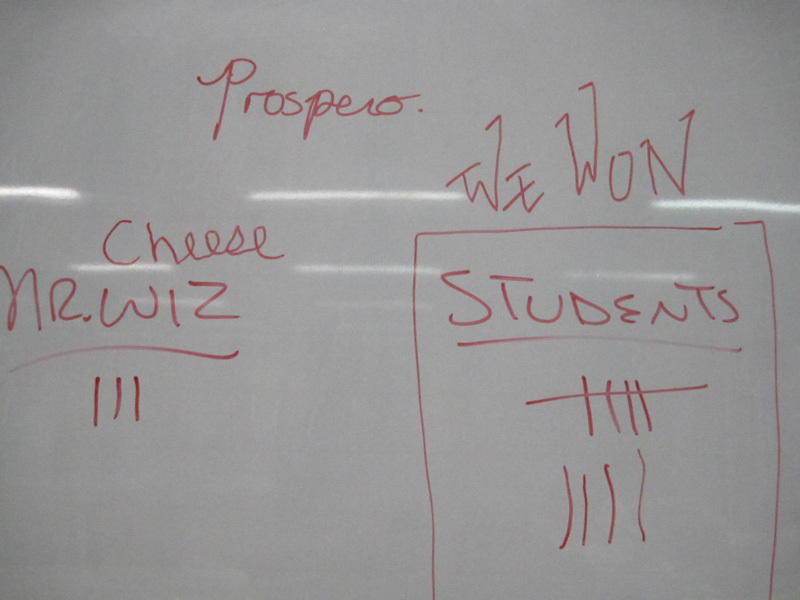 Well, as you can see by the scoreboard, the Wiz Kids eventually defeated me. I actually won MORE than three rounds—there just happened to be some creative editing of the scoreboard (and my name). 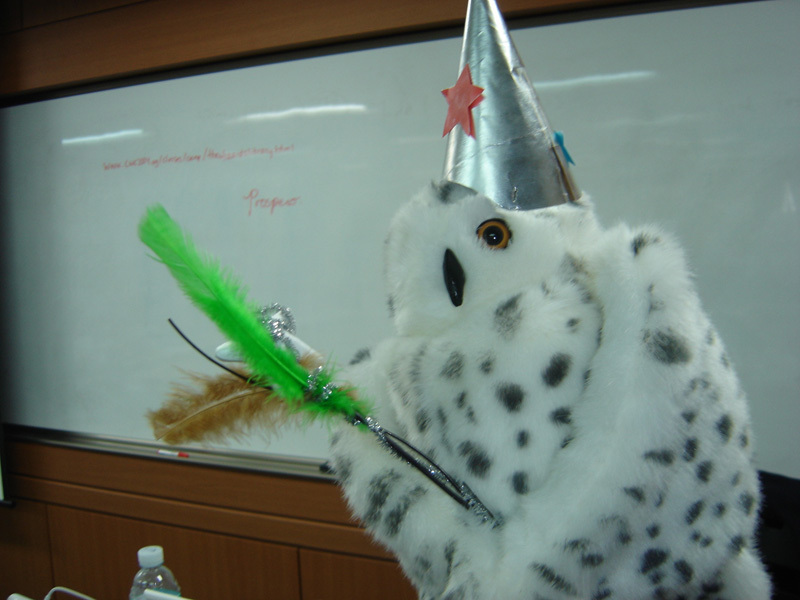 Even Prospero ended up getting his own hat and wand. 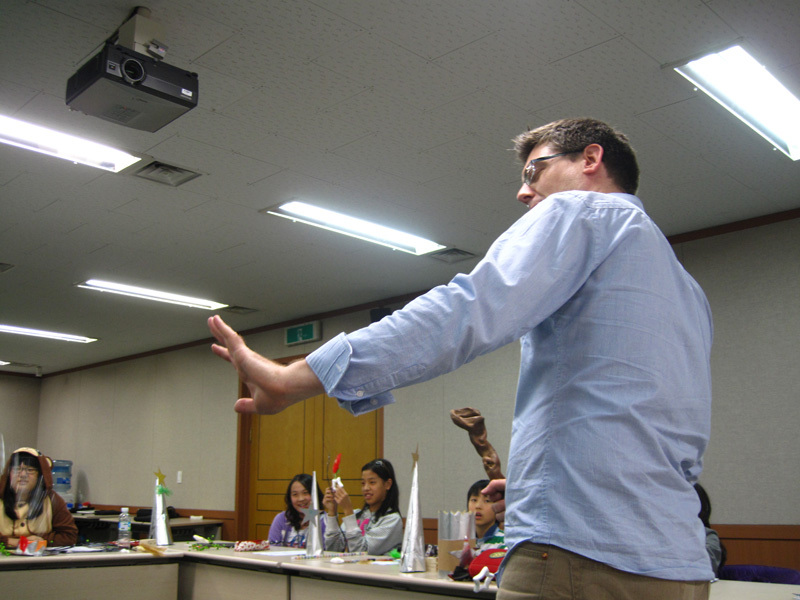 We’ve finished our first day of our “Wizard’s Library” camp in Korea! 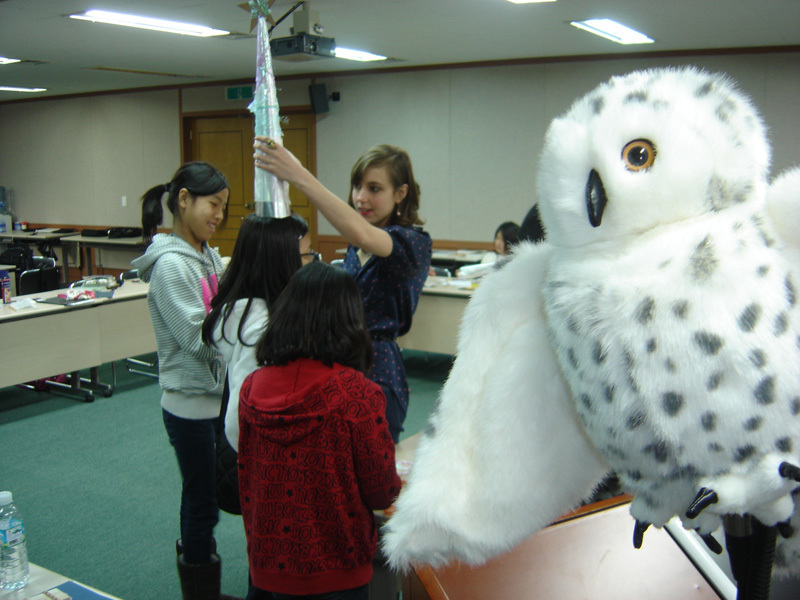 Each would-be apprentice selects his or her wizard kit as Prospero the owl quizzically looks on. 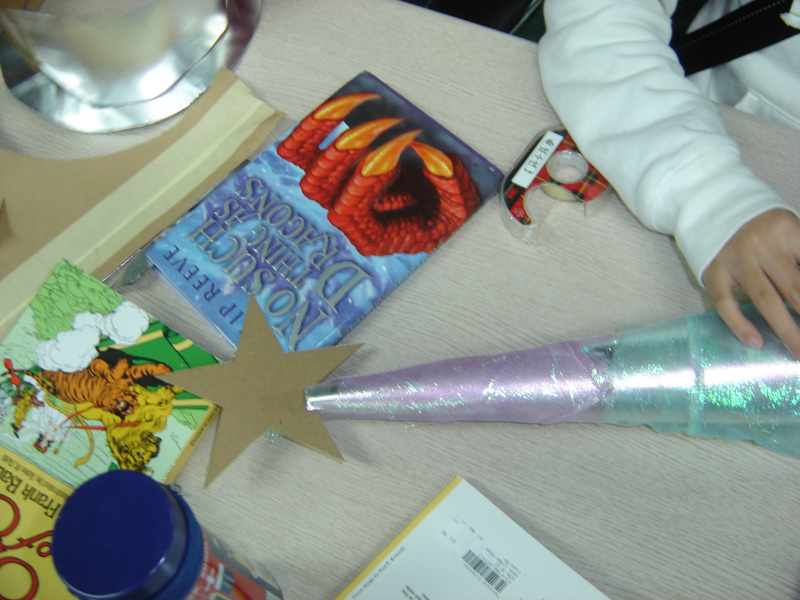 A Wiz Kid peers into her wizard's kit to discover a dragon's feather, a key, and other treasures. 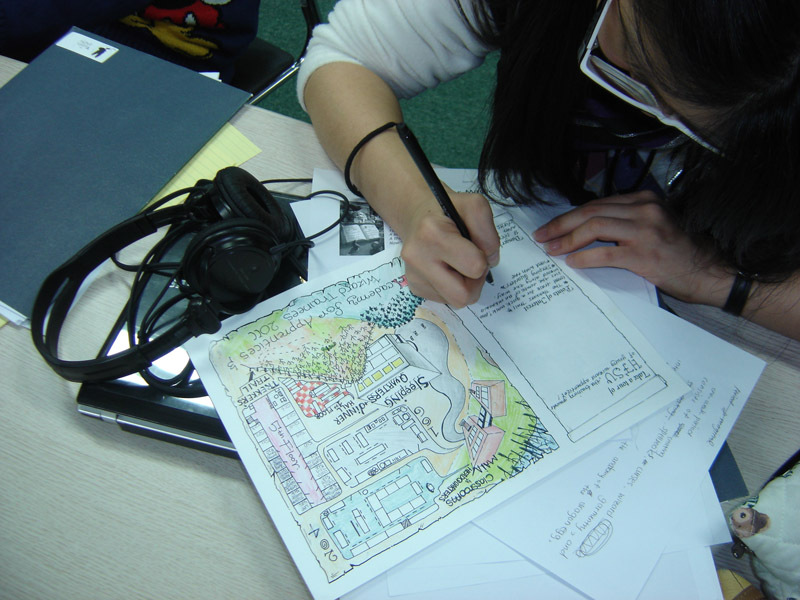 A Wiz Kid brainstorms for a story using the "story brew" worksheet. 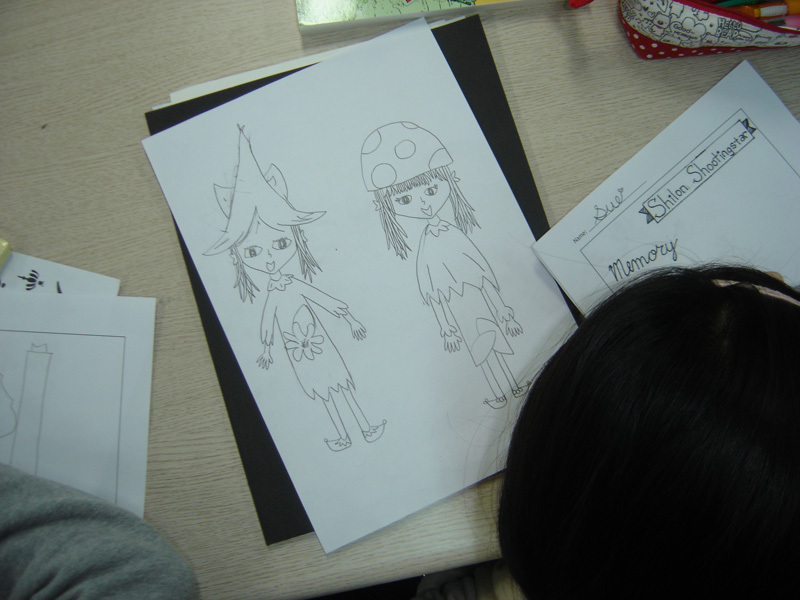 A Wiz Kid designs some characters for her story. 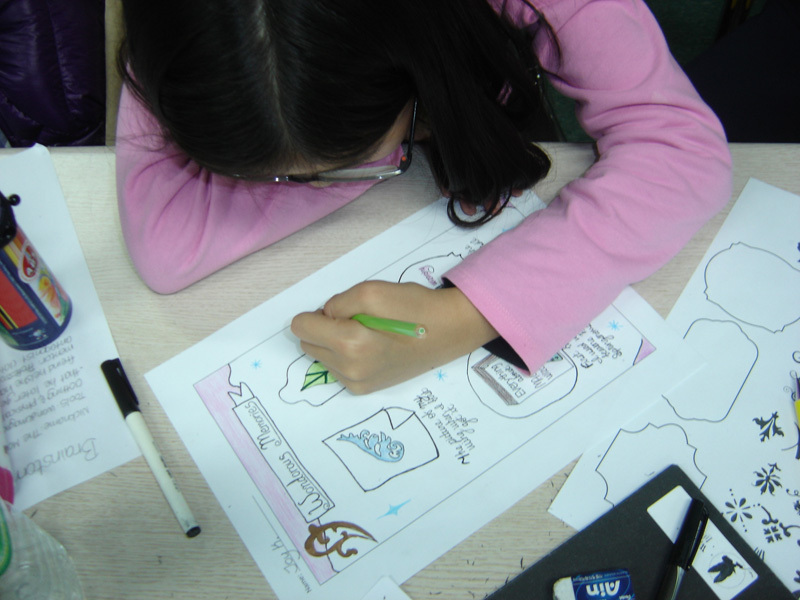 A Wiz Kid works on a scrapbook page of her character. A completed scrapbook page for a wizard character. I spent yesterday with my fellow-teacher, Kallie George, preparing “wizard kits” for our upcoming writing camp. 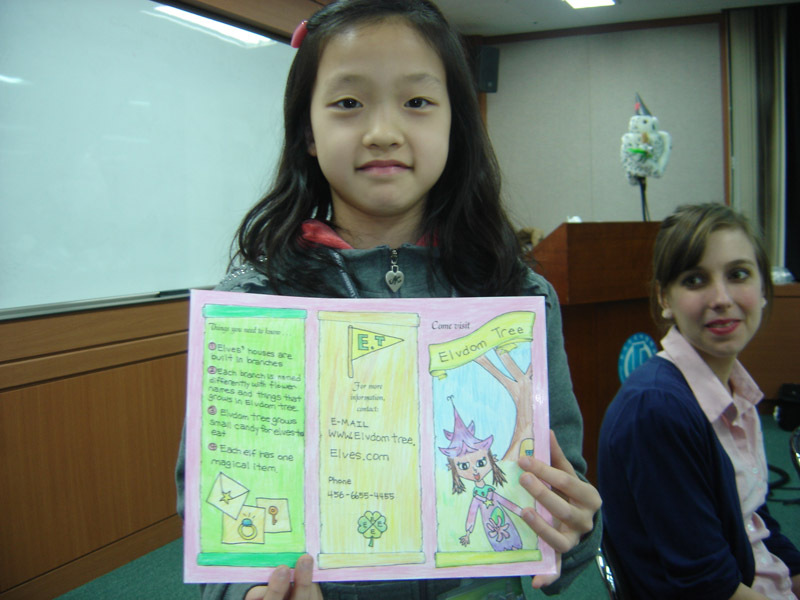 One of our activities will be to have the kids prepare a spell book page in the style of an old illuminated manuscript. 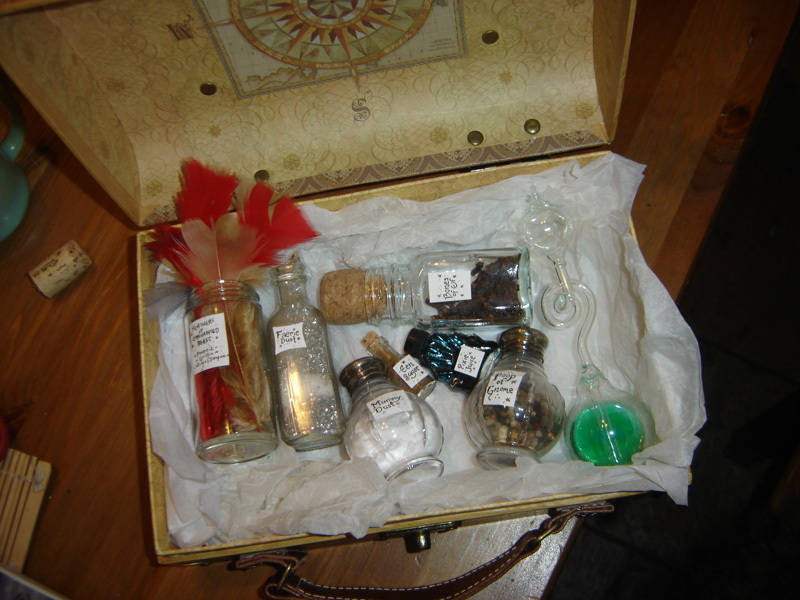 For inspiration, we decided to put together a kit of enchanted ingredients. Truth be told, I’ve taught many a magic potion class and, as such, I have an entire cabinet in my kitchen devoted to the storing of delightful ingredients. But these giant glass bottles of mummy dust, pixie juice, and the like would will be impossible to transport across international waters, so we assembled a smaller kit. There is not enough magical ingredients in this kit for an entire class of would-be wizards to brew anything, but I hope it will serve as fodder for their imaginations. Note the strangely-shaped bottle with the green liquid; this is an enchanted substance that can actually determine the amount of magic a person holds within his or her heart. All you have to do is cradle the bottle between your palms and chant a few wizardly words. The higher in the tube the liquid climbs, the more magical you are. 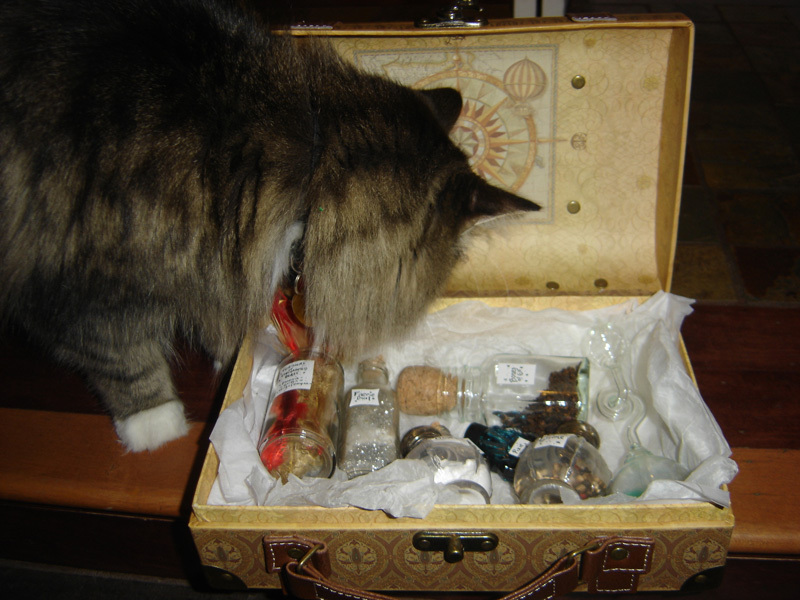 However, Griffin was more interested in the Phoenix feathers (the whole afternoon, he kept jumping up to poke around our ingredients). 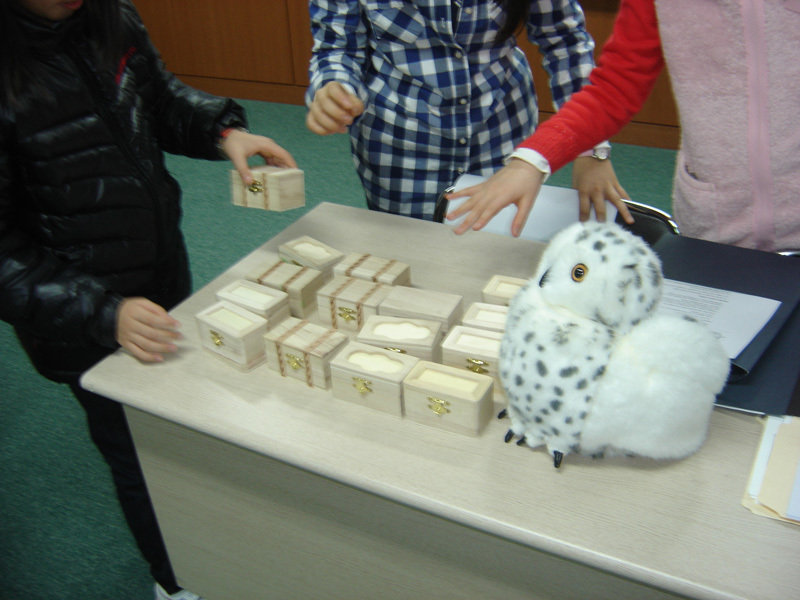 We’re also preparing mini-kits for each of our students. 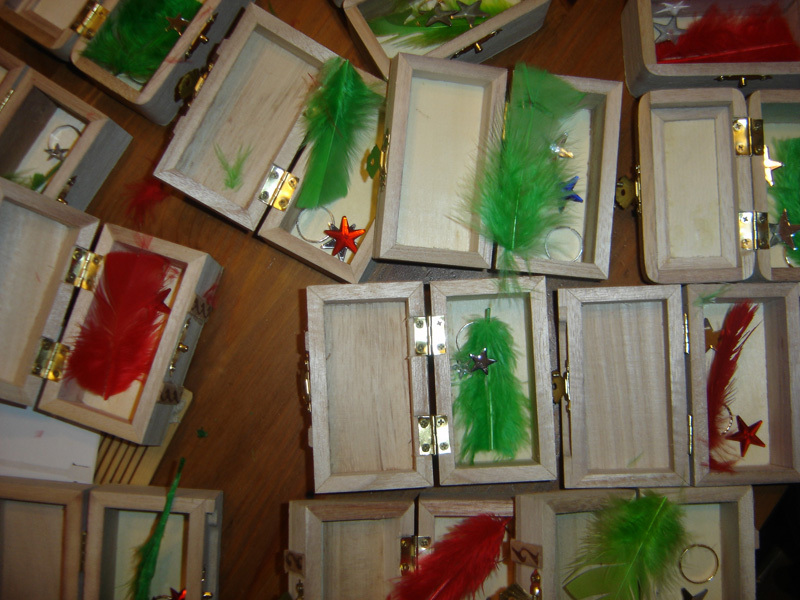 Each one is slightly different, containing phoenix feathers, rings, and a variety of pebbles, jewels, and keys—all required supplies for our team of Wiz Kids. 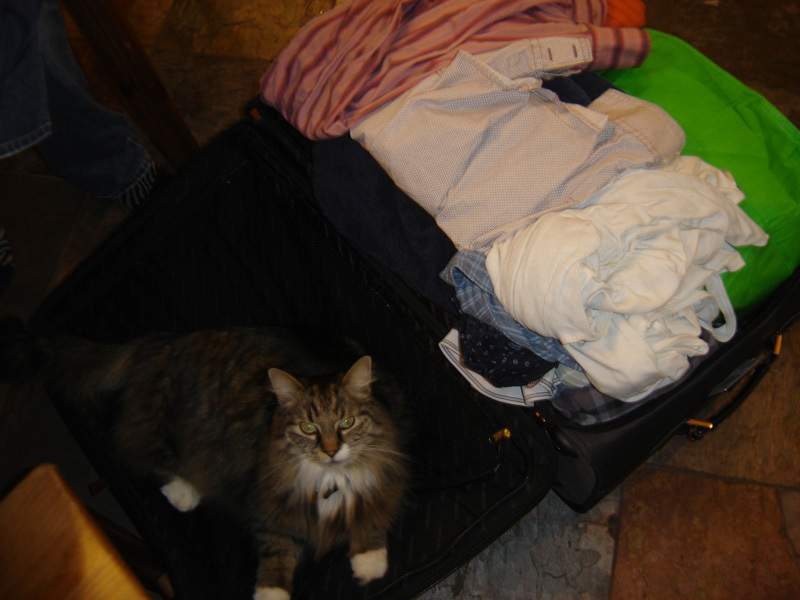 Just a few more days, and we jet across the ocean!